Georgia Bright from the Start (BFTS) Approved. Training offered in an online/distance learning format. 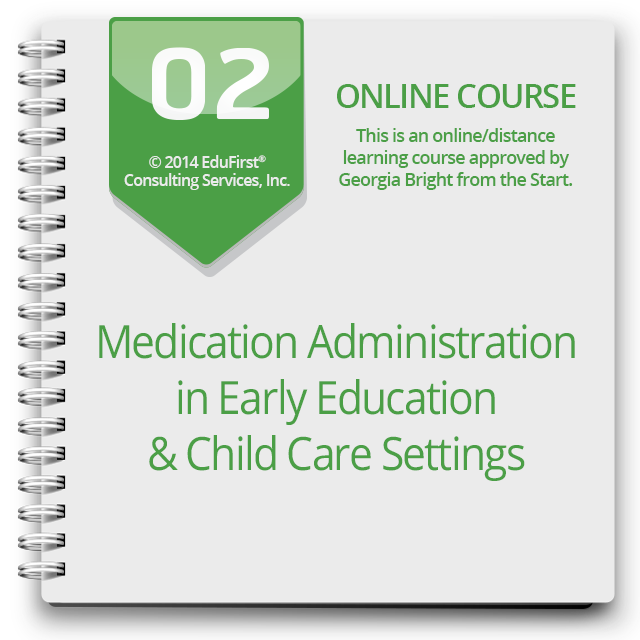 This online course is designed to educate child care providers on safe and effective practices in administering, documenting, and storing medications. • Identify different types of medication and explain why medication is given and how it is given. • Recall medication storage, preparation, and administration techniques. • Identify the forms a child care provider needs before giving medication. • Identify policies that must be in place before receiving medication. • Describe why information about medication should be kept confidential as ordered by federal law. • Define the “5 rights” of medication administration. • Identify “as needed” conditions. 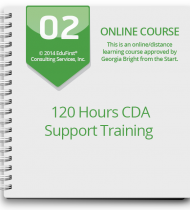 • Identify good documentation practices of medication administration. • Identify adverse reactions to medication.